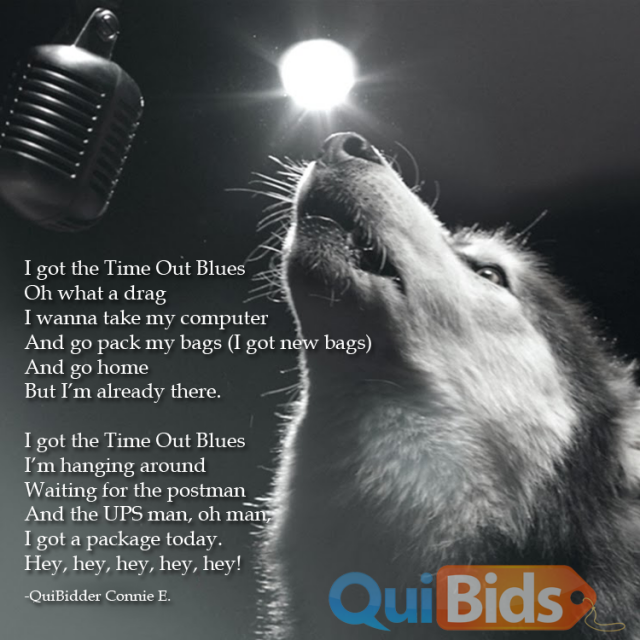 Congratulations to the new QuiBidder of the Week, Connie! This week’s winner needs no introduction! Connie is a well known face on the page and for more than just posting product reviews or wins. Connie has taken the time to explore both bidder types and bidding moves and to share what she’s learned with our community. That’s not to say she doesn’t share wins. We’ve enjoyed watching her work towards her goal of overhauling her kitchen too! As a special treat, we’re including the image we’ve made to highlight the song Connie has written and shared in the post above.